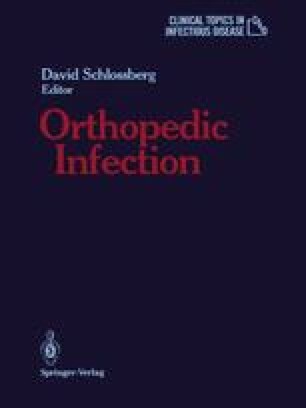 The clinician dealing with orthopedic infections must be familiar with the pathogens associated with bone and joint infections, and must also know the spectrum, pharmacokinetics, side effects, and cost of antibiotics used to prevent or treat such infections. The treatment of bone and joint infections is a special situation that requires additional considerations in the selection of an appropriate antibiotic. The use of a few antibiotics is appropriate for the great majority of bone and joint infections. The clinician should become familiar with the most cost-effective antibiotics for various situations and refrain from constantly changing antibiotics in hopes of better results.